Hello Lovelies! Today we have a special treat for you… A Guest Blogger! Arisai from Residual Living and 2 Girls and a Crazy Dog is here today to give tips on how to put together a lovely Owl Party. 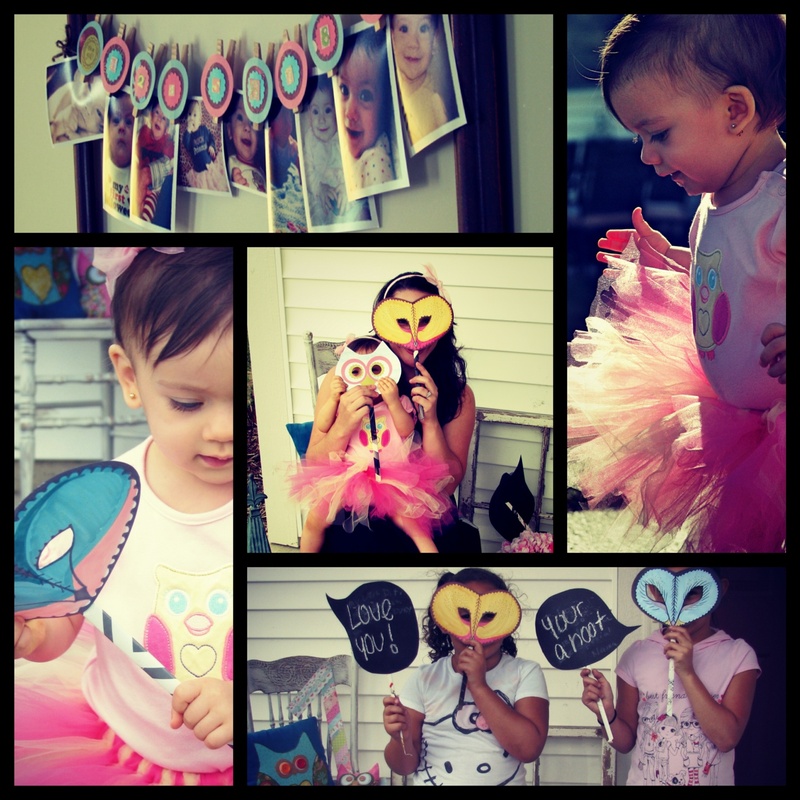 She put together 2 themed owl parties for her 2 little girls and they are just too cute! With DIY Owl Crape Paper Balls, owl masks and owl cake, sewn owl pillow, these party ideas will surly have you hooting for more. 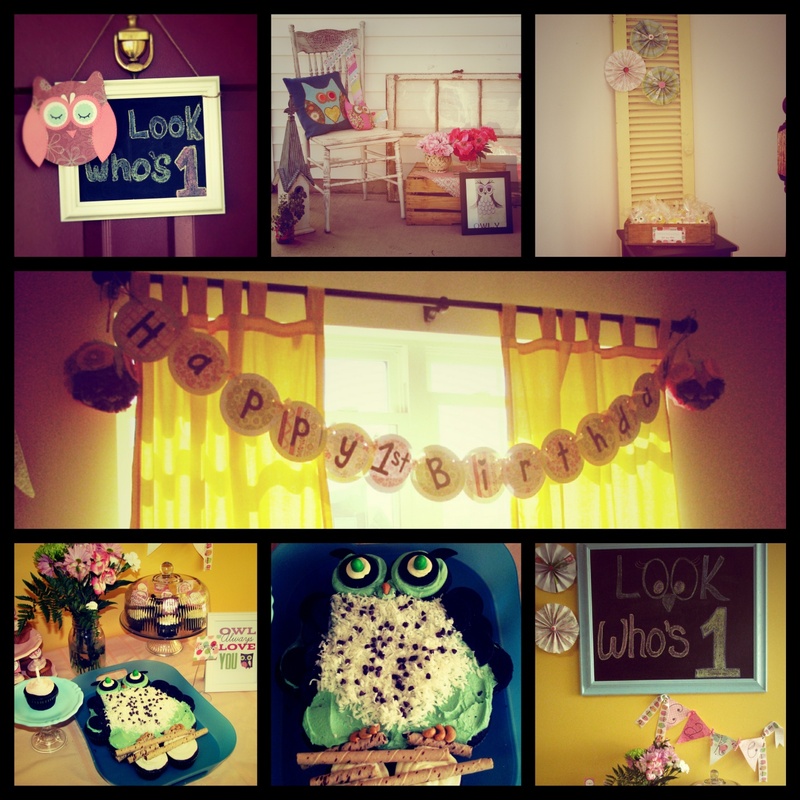 With a small budget and limited space I was able to create an owl theme party not only for my one year old but for my 2 year old by reusing decor and thinking of some new ideas for them both. For me the first Birthday Celebration is important. I was debating between cupcake or owl theme, and I decide on the owl theme simply because I love owls! There are so many cute owl decorations out there and I wanted to be a part of all that cuteness! Almost everything was either made by me or my neighbor. Because my neighbor and I have a little girl almost the same age, we share lots of “props” as we like to call it. I wanted it to be chic and a little vintage to add to the cuteness of the owl theme. I started by decorating the entrance with a vintage window. They are really popular right now and last summer and I thought it would be a fun piece after seen all of the fun ideas my Pinterest for old windows. Even better, I doubled the entrance as a photobooth station too. A great idea to double the use of your decor a get a photo booth backdrop in a small space. I also added an old crate holding pink flowers, a white sanded chair, an old chipped door and shutters as decor to give the party the vintage look I was looking for. I DIYed the owl crape paper balls from this amazing inspiration of felt owls from Factory Direct Craft. I used a hot glue, Styrofoam balls, crape paper, wire to hang them, and jewelry studs for the eyes.Just an inside tip these took me for-eeeever to make. As for the invitation I made it at www.shutterfly.com. Such a great resource! I also made Seylah’s tutu and it was so much fun. Because I’m a visual person I learn through seeing, I did a search in YouTube for this and found this awesome video Clothes Pin Dolls. I saw this garland of pictures somewhere on the web and fell in love with it and thought it would be perfect to display a year of Seylah’s growth. I saw the cute clothes pin hangers as picture holders on Etsy and decided to DIY it as an easy project. I just grabbed my scrapbook paper, dollar tree clothes pins and mod-podge and it was done in a snap. For the both Look Who’es 1 signs, I bought a cheap picture frame from Goodwill and spray painted it white and then used chalkboard paint for the saying. The cute owl attached to it was made with scrapbook paper inspired by a bib that the girls have.For the big owl picture on the vintage door, I used a big artist drawing paper that I had laying around from my school days and used a x-acto knife to cut the windows. 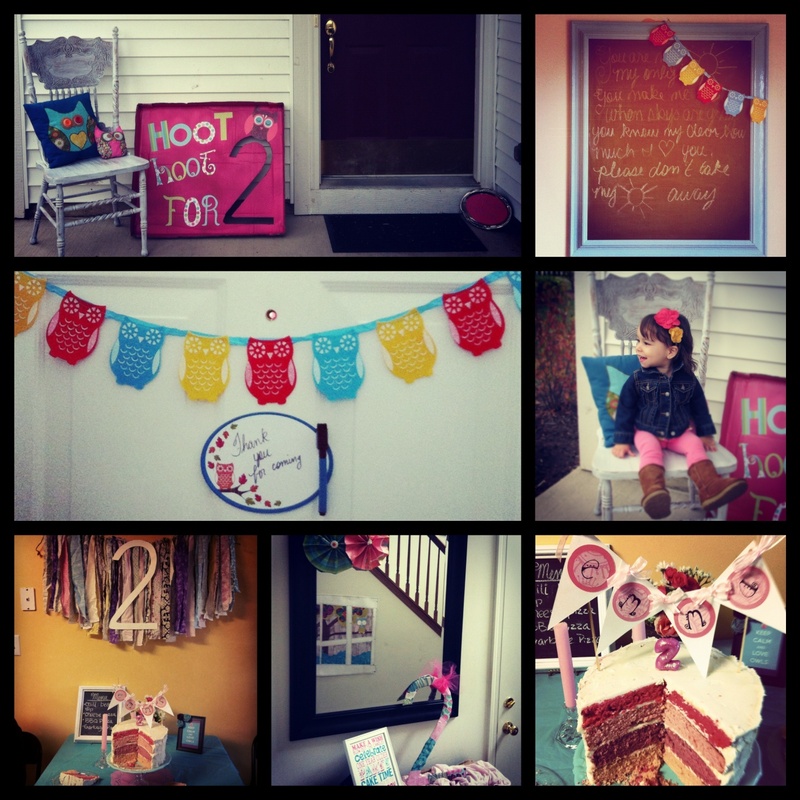 I got the idea from this awesome owl party theme from Snowy Bliss. The owl pillows we hand sewn as well. Luckiliy I already know how to sew, so I just looked up some owl pillow designs on Google and picked these cute ones. (A really great tutorial is from Joshua Trent) With just simple scraps of fabric I was able to put it all together! The Owly picture frame and owl always love you was a free printable found on my Pinterest under Free Printables. The cupcake toppers were also free printables too as well as “Make a Wish” picture! I handmade the cake stands too. I bought plates from Goodwill and spray painted them and just attached them to a candle stick and voila! Here is an awesome DIY for that from The Artisan Company. My neighbor Lisa also did a lot of DIY work for the party. She was such a help! She sewed the burlap cotton table runner, made the folder accordion circles and the big number 1 wrapped in scrapbook paper. She also put together the birthday sign and the triangle garland. Lisa did a phenomenal job with these cookies too. These were a super hit at the party! You can find the recipe from Peppermint Plum. I made the owl cake and it didn’t turn out as bad as I thought given the circumstances. When I finished the cake I had it in my hand about to show it to my husband….when we hear….”BOOM-BOOM-BOOM” I literally threw the cake on the table and we ran to see what happened. I could have kicked my husband for this!!!! He thought by oldest how to open the gate, so here she comes down the stair and my little one Seylah “the birthday girl” comes and follows. Before you know it we hear the sound and a cry…..Seylah has fallen!!!! My heart was elsewhere and it didn’t come back for a while….Everything ended up being great thought and certainly a day to remember. 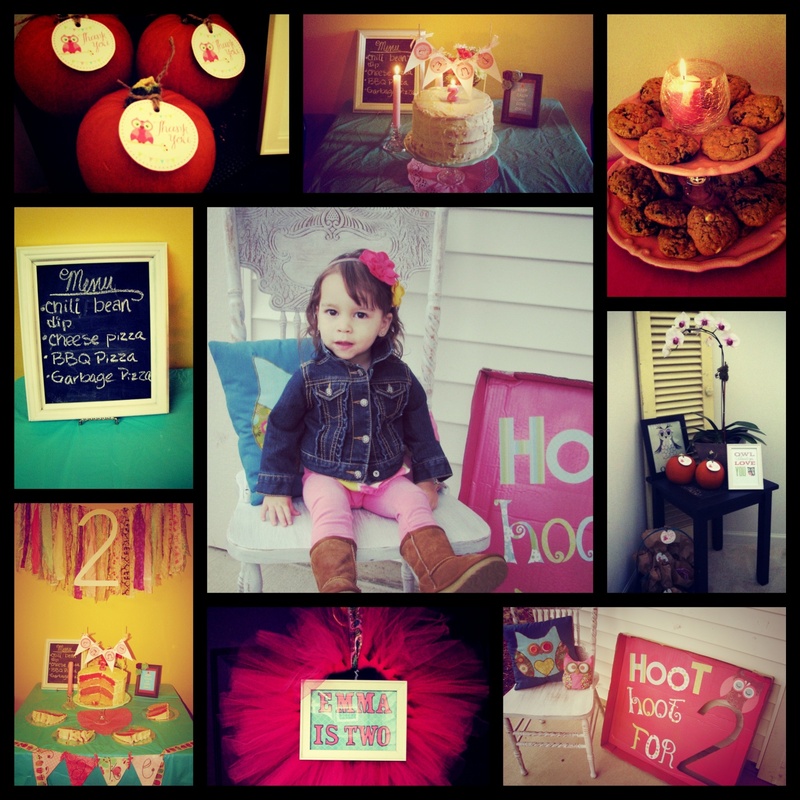 The highlight of the party for me was being able to capture the moments in my baby’s life! I love taking pictures of my girls, and focusing on certain features and I believe I took many great shots of Seylah’s big event. And not to mention the photo booth. It was such a big hit for everyone there. The grownups loved the way it looked and the kids liked the owl mask. It was such a beautiful day, the weather was great allowing the kids to play outside with footballs, and for the little ones writing on the floor of the bike bath with chalks running about….doing what kids do best. The only change I would have made would have been to include my famous chocolate chip oatmeal cookies because everyone was asking for them! “Good decorations should never go to waste” is my mentality, so for my two year old I added a few things, but for the most part, everything else was already done! Emma’s party was a bit more intimate with just family member, so it was a little less chaotic than Seylah’s but just as fun! The sign, “Hoot-Hoot for 2” is actually spray painted piece of card board! I just cut the number two out with an x-acto knife and used it to make the scrapbook paper big two as decorations. The owl garland and erasable sign, I found at Target dollar section. Score! I saw this look on The Tom Kat Studio and thought it was cute so I put it together myself! The fabric backdrop was actually reused from when I made it for my best friends baby shower. I loved it so much, I just had to keep it knowing I would use it again. Just tie some fabric to some string and you can easy make this project in minutes. If you have done tutus before than this is cake! Emma’s birthday falls in October so I thought it would be a cute idea for party favor to give little pumpkins for the parents, and the kids a taffy apple. You can find the thank you rounds also in Pinterest under Free pintables. The tutu wreath was also simple DIY project. 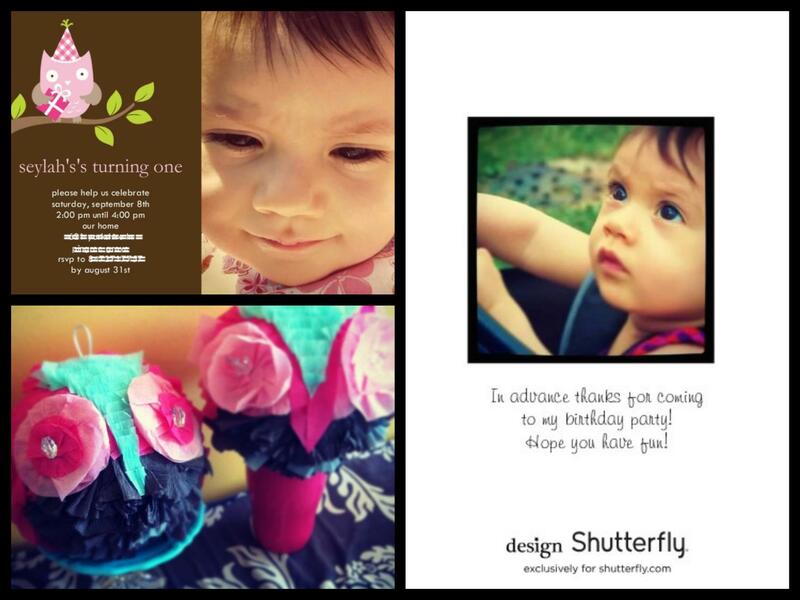 You can find a great tutorial from Designed by Dawn Nicole. I didn’t have the Styrofoam wreath I wanted so I used a hanger. Not too shabby I have to admit! I learned my lesson at Seylah’s party and I made sure I made my famous chocolate chips oatmeal cookies, if not I was going to have some angry family members hanging around LOL! One thing I do recommend for an Owl Theme Party is having owl pillows. I think that is one of the cutest things ever! And there are so many ideas out there on how to make it is crazy….so go nuts!